June Meeting! Meet Councilman Keith Curry! 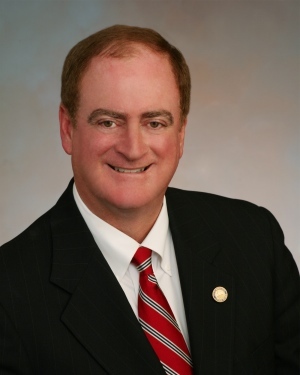 Keith Curry is a Councilman and former Mayor of Newport Beach where he has served since 2006. As Mayor, Curry authored the city’s 15-point Fiscal Sustainability Plan, which served as a blueprint for addressing the impacts of the economic slowdown on the city. The Plan was cited as a key management strength when all three rating agencies awarded underlying AAA ratings to Newport Beach in 2010. As Chairman of the City's Finance Committee, Curry led the city in reducing expenditures, staffing levels and pension costs, while at the same time preserving city services. During his tenure on the City Council, the city has opened the OASIS Senior Citizens Center, Newport Coast Community Center, Mariners Branch Library, Santa Ana Heights Fire Station, and two new parks. Three additional parks and a new Civic Center are currently under development. In 2011, Curry retired after a 23-year career as a Managing Director with Public Financial Management, a financial advisor to state and local governments. During his time at PFM he advised on over $15 billion in debt offerings including the $500 million 1995 Anaheim/Disney Resort financing named “Deal of the Year” by the Bond Buyer Newspaper. From 2004-2006 he served as President of the National Association of Independent Public Finance Advisors and testified before Congress on issues of financial reform and issuer protection. From 1982-1987, Curry served in the administration of President Ronald Reagan as Special Assistant to the Federal Transit Administrator. In addition to his role on the city council, he also serves as Vice Chairman of the Orange County Parks Commission and is immediate past President of the Association of California Cities, Orange County. Curry received a MPA, BA and Certificate in Urban Studies from California State University, Long Beach. He has also completed executive programs in Driving Government Performance and Negotiation from the Kennedy School of Government at Harvard University.